Has the Man of Steel finally met his match? The result of Kryptonian geneticengineering gone wrong, Doomsday is a monster who's a real threat to Supermanand Metropolis! 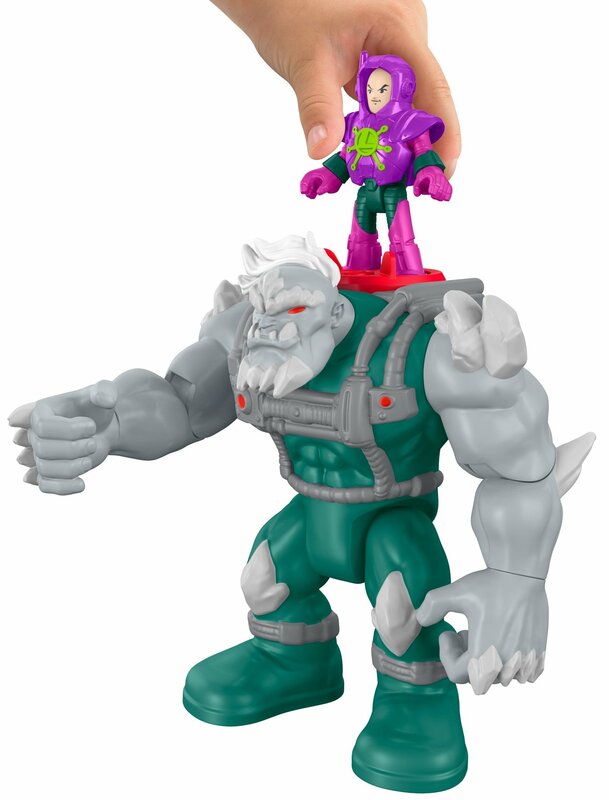 Kids can create epic battles between these two DC SuperFriends figures - with exciting Imaginext features to bring their stories tolife. Just turn the Power Pad right to activate Doomsday punching action - andturn it left to have Doomsday swing the construction beam. Both Superman andDoomsday have super strength and super speed, so who will win out? That's upto kids and their own powers of imagination to decide! Imaginext. Turn onAdventure!.